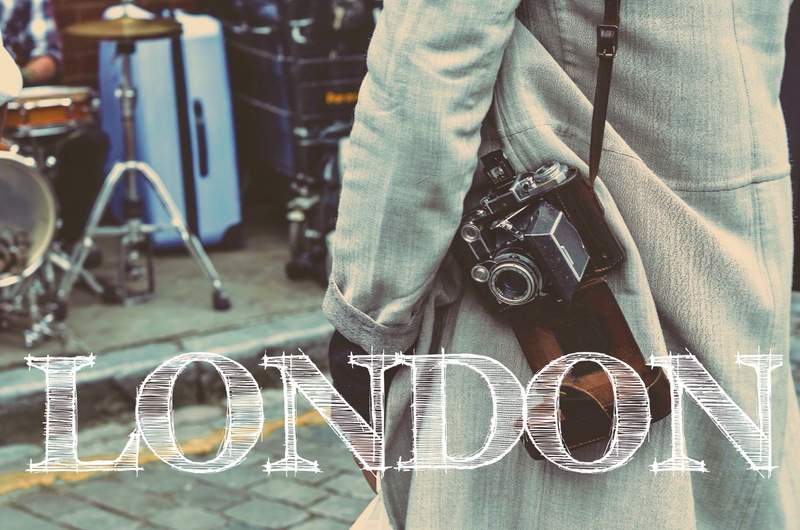 London Coffee Festival with Shinsaku Fukayama | THE CURIOSITY. Londoners had a chance to get over-caffeinated once again in the annual London Coffee Festival which is the largest of its kind in the world. 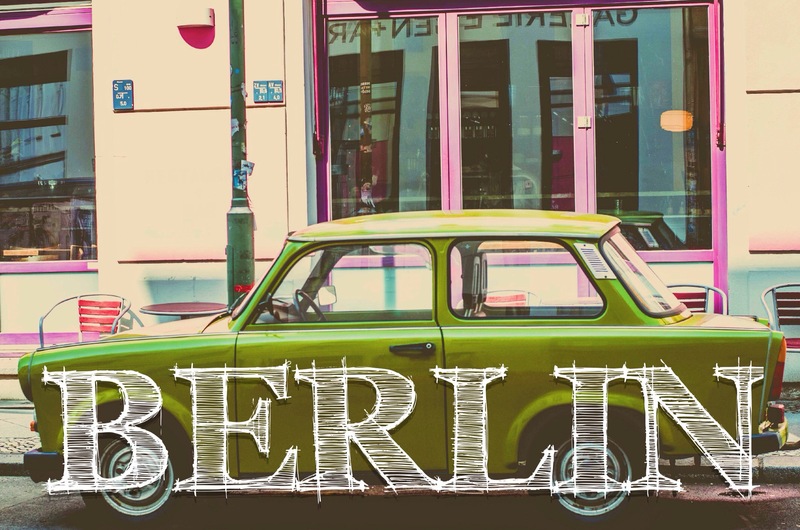 It celebrates coffee culture by gathering the best baristas and hosting coffee shops from all around the Europe under one roof. 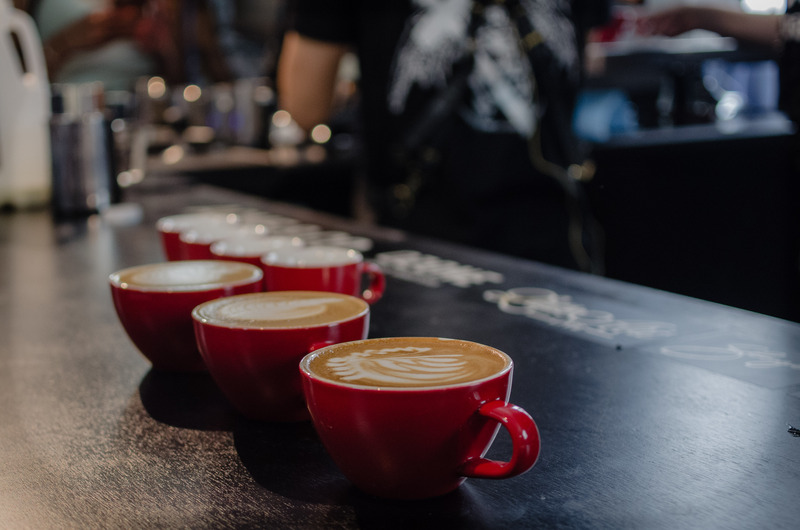 The festival invites customers to learn about the basics of cupping, how to roast, brew at home or pour a beautiful latte art. It has also featured major demonstrations from world-class baristas and latte art masterclasses. 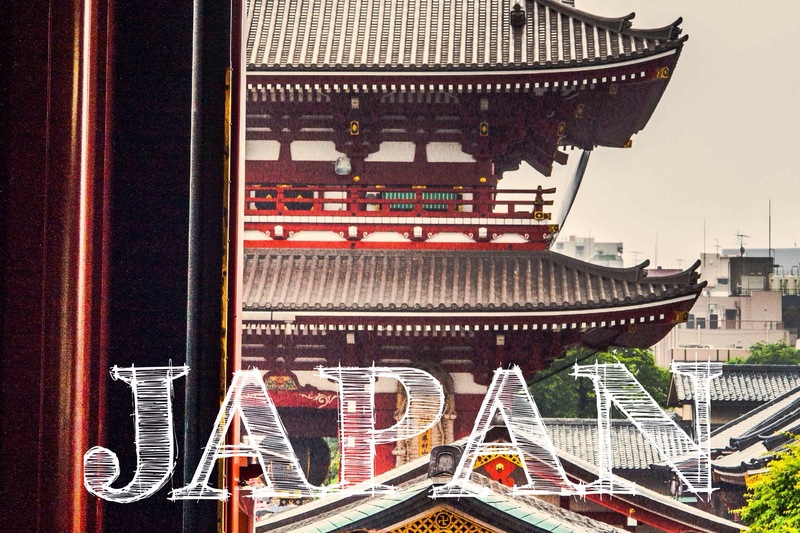 Coming all the way from Australia, Shinsaku “Shin” Fukayama is one of the most anticipated guests in this year’s London Coffee Festival. 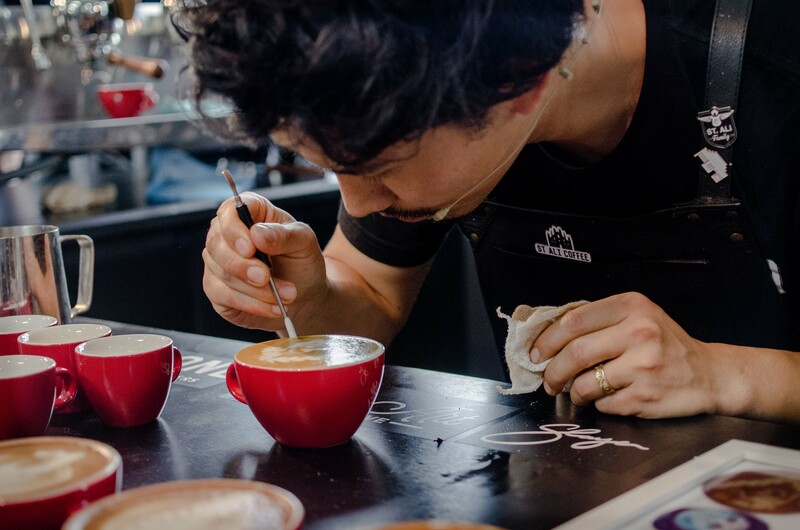 His journey in coffee industry has started four years ago in St Ali, one of the most famous specialty coffee shops in Australia, and by now he is known as a World Latte Art Champion. 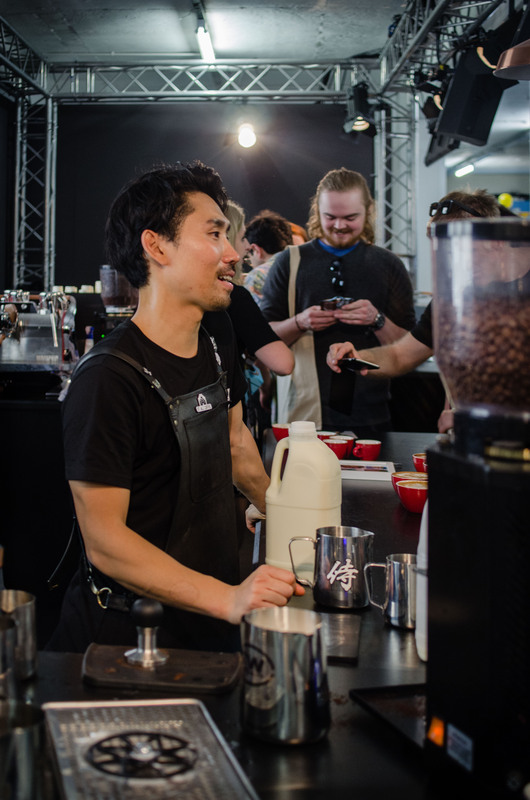 Shin rushed to London straight after Australian Latte Art Championship where he took the second place. I have sat down with Shin to talk more about coffee and what it takes to become the master of latte art. While the skill is undoubtedly important, Shin emphasises the significance of barista’s personality and persistence: “You really need to be able to focus and train every day.” Shin admits that in his coffee shop it is “crazy busy” and they make at least 1000 cups of coffee a day. Despite that, he continues training after the shop closes. But I couldn’t easily believe that Shin never gets anxious. He admitted that in the first competition he was nervous because he entered only after three months of training. But now he is very confident on stage and, indeed, rarely gets nervous. In order to improve his mentality, Shin tries to keep balance in his life. When he is not making coffee, he is meditating, running, working out in a gym or goes swimming. Shin rushes off to showcase his impeccable latte art skills in another Latte Art Live show, while I am wandering around to find out what’s new in London’s coffee scene. Many new coffee roasters have joined this year’s festival from smaller cities, such as Redroaster Coffee from Brighton and Outpost Coffee Roasters from Nottingham. While the filter is increasingly getting popular among coffee makers, the biggest trend this year is milk alternatives: almond milk, soya milk or oat milk, just to name a few. And the most popular drink seems to be a coconut latte that has recently taken over the whole London. One stall even suggested brewing coffee with coconut water – something worth-trying for experiment-loving coffee geeks.